After 24 hours of a mixture of hard work/waiting for green stuff to dry I have finished my first squad of Malal aligned chaos space marines. Before I go on here they are in all their unpainted glory. These guys are a combination of the warriors of chaos box set and chaos space marines box set (and green stuff). 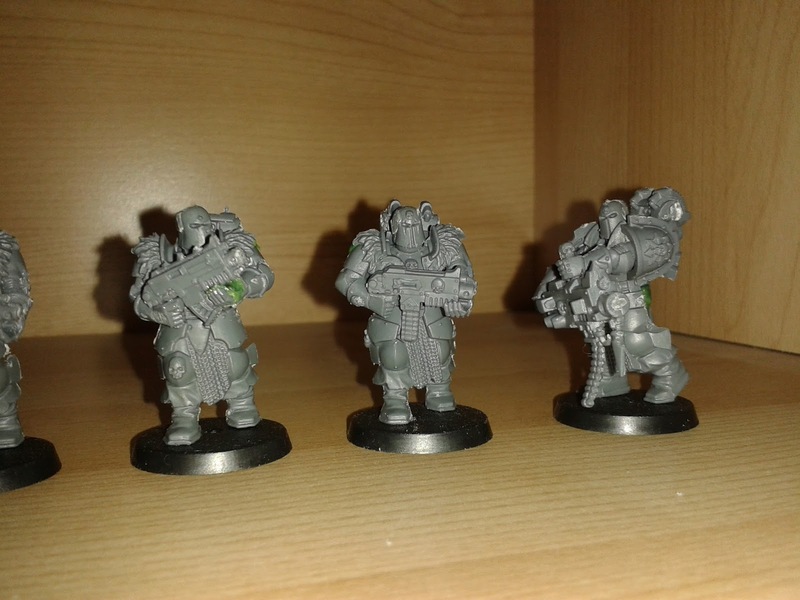 They were created using the legs and front part of the chest from the chaos warrior box with the chaos space marine back piece, with green stuff filling in the gap between the legs and back . 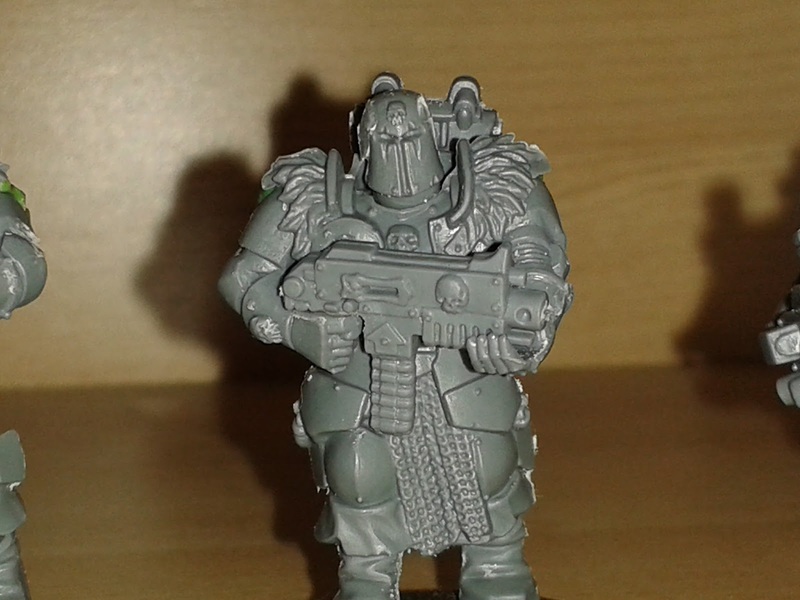 The helmets are a mixture of the warriors of chaos and chaos space marines and the arms are the basic chaos space marine ones without the shoulder pads. This idea was not mine originally, it came from a white dwarf issue that was showcasing an army of Chaos Space Marine Iron warriors where the player wanted a unique look for his troops. Wanting a similar different look for my own army I used his idea for basic chaos space marines. Now as this is a fluff army each and every unit must have a background piece that gives a bit of insight into that unit. So here is the background for the basic chaos space marines in my army (which has been officially named “The Children of Man). When the Man first appeared the Milky Way all he had was his weapons and his five most trusted bodyguards that he had chosen from his horde back in the ruins of Erngard. While these five were exceptionally skilled warriors they would not be enough to conquer the entire galaxy, the Man knew he needed foot soldiers and fast. Luckily he had experience in recruiting troops to fight in the name of Malal, having gone from a lone champion of Malal back on the old world to a leader of a vast horde of warriors who had conquered two armies and sacked the great city of Erngard. And so the Man started to visit the fringes of imperial space, visiting the desperate and depraved and offering them the chance to be gods amongst men. Soon he had a sizable following, but how do you turn the outcasts of the imperium into genetically enhanced killing machines? The Man knew that this would be the hardest challenge he would have to face and so devised a plan capture a live space marine and attempt to reverse engineer the gene seed and physical enhancements that transform a normal human into a space marine. The Man was lucky in that amongst his new following he had managed to pick up several depraved men of science, individuals who had been exiled to the far reaches of imperial space for their sick experiments on living subjects. It took the Man months but eventually he managed to locate a lone squad of space marines who had been left behind on a remote imperial the world to keep the peace after their chapter had quelled a uprising on that same planet. This squad, their faith in the emperor and the imperium already failing after decades of keeping the peace, fell easy prey to the Man’s words and arguments, easily convincing the squad that the imperium had forgotten and abandoned them here on the lonely edge of civilization. 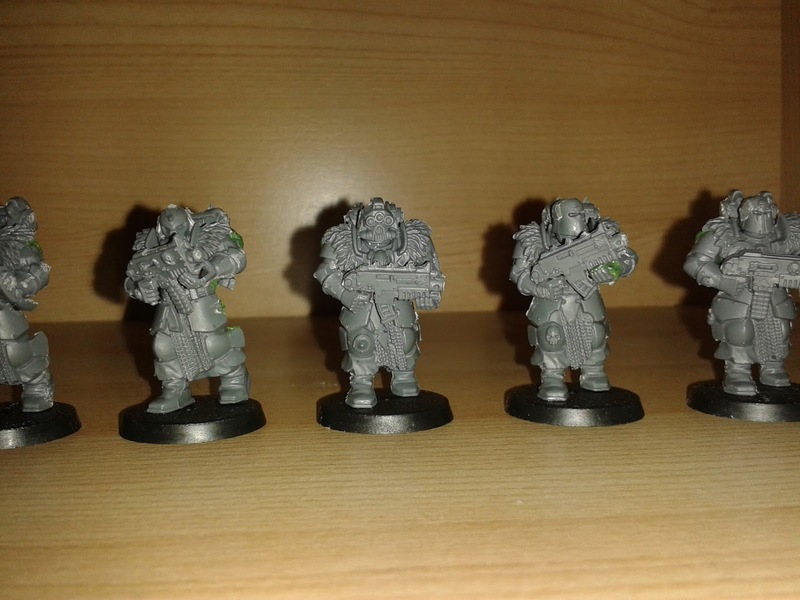 Not much is known of what happened to these five marines , except that the scientists in the Man’s warband successfully managed to reserved engineer and mass produce a kind of corrupted gene seed. This gene seed, while having some of the effects of the imperial version, also had unforeseen effects, the most notable being the increased height and decreased bulk of the Malal Chaos Space Marines. The last piece that the marines required before being declared ready for war was armour. 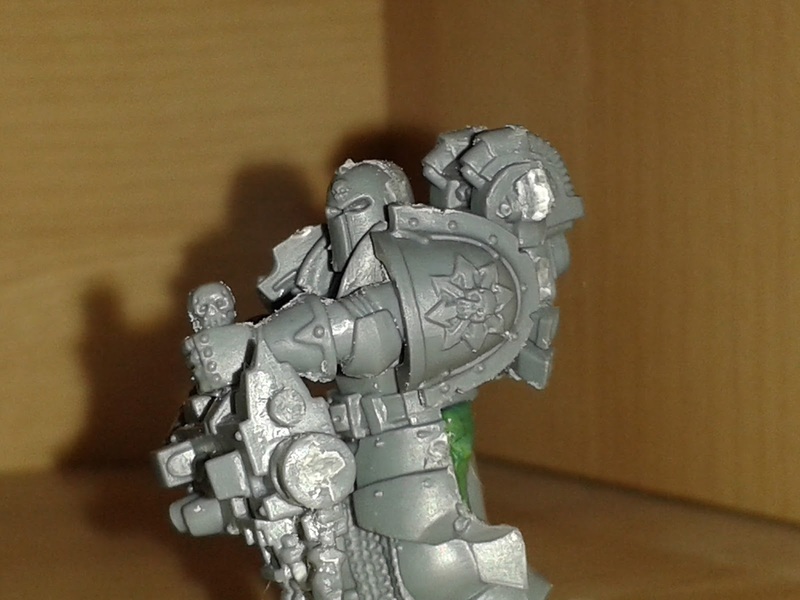 Having seen the space marine power armour up close the Man decide to forge his own variant, desiring a more distinct look and feel. Having had been first had witness to the resilience of Chaos armour worn by the majority of his army on the battle fields of the old world the Man decided that this would form the basis of his marines armour. And so his marines’ stride the planets of the milky, armoured in plates of ceramite power armour, fashioned into the full plate armour of old. It is these, tall lean and fully enclosed, marines that form the backbone of the Man’s armies. They stalk the battle fields raining death down on those who would oppose the herald of true chaos. Hopefully you enjoyed that. The next post will either be the final part of the Fantasy and 40k series or another post on The Children of Men. very cool conversions. Any capes or anything?